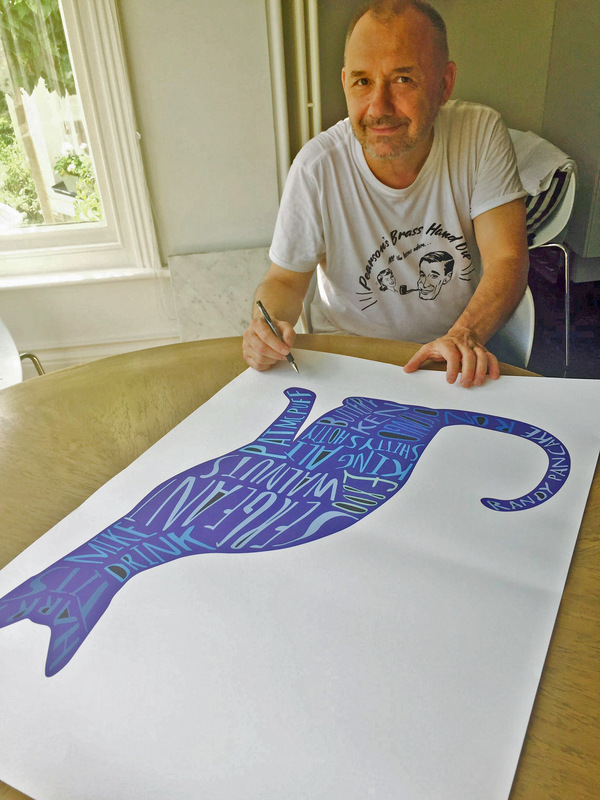 TV funny man Bob Mortimer has teamed up with Cats Protection to auction off a signed print to help the charity raise much-needed funds this Christmas. Mortimer has been donating a proportion of sales of his limited edition prints to Cats Protection since July this year, but this time he is auctioning a one-off signed print. He said, “I’m a big cat lover and have always had them in my life so it’s great to be supporting Cats Protection, which does so much to help unwanted moggies. “I have two cats at the moment, called Goodmonson and Mavis, but I love naming cats and am always calling them different things every day. 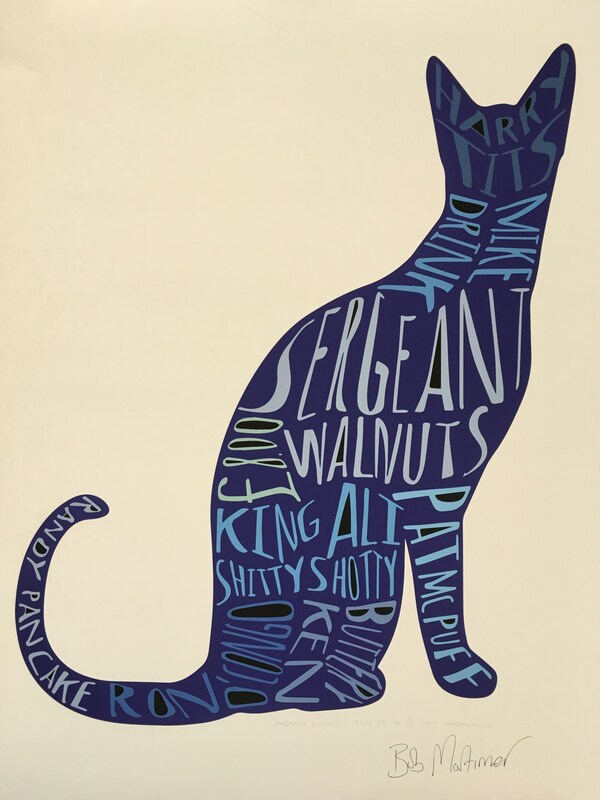 “I initially started jokingly ‘selling’ suggested cat names on Twitter and then began working with Wordynumnum to produce a series of signed prints featuring the names I’d made up, but in the shape of cats. The A1 sized artwork, pictured above, will be sold on eBay, with the three-day auction kicking off at midday on Friday 24 November. Visit www.cats.org.uk between midday on Friday 24 and midday on Monday 27 November for details on how to bid. If You Need a Reason to Say You’re a Cat Person, Here It Is – You Could Also Win £500!